Having sold 2001-built panamxes Danae and Dione last month, Greek dry bulk owner Diana Shipping has moved to sell Samho Heavy sister vessels, the 2001-built Nirefs and Oceanis. The two vessels, now the oldest in Diana’s fleet, are being circulated by brokers to be sold “at best in line with current market”. MSI values both the Nirefs and Oceanis at $7.4m. Diana Shipping Inc. a global shipping company specializing in the ownership of dry bulk vessels, announced that it has entered into a time charter contract with Glencore Grain B.V., Rotterdam, for one of its Panamax dry bulk vessels, the m/v "Oceanis". The gross charter rate is US$9,000 per day, minus a 5% commission paid to third parties, for a period of minimum seven (7) months to maximum ten (10) months. The new charter period is expected to commence on June 19, 2014. 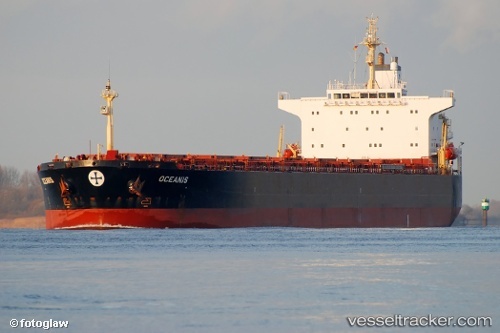 The "Oceanis" is a 75,211 dwt Panamax dry bulk vessel built in 2001. This employment is anticipated to generate approximately US$1.9 million of gross revenue for the minimum scheduled period of the time charter.